Part of being in the technology industry requires a constant dedication to learning. The world is a constantly changing place and the things you know today aren’t going to be cutting edge tomorrow. Those that stay in place and don’t change with the times can sometimes appear to be zombies. Just drooling along from one project to the next. If you aren’t feeling the love of being a zombie, there is a great way to break out of this cycle. That way is through learning. But how do you know when or how much you’ve learned. 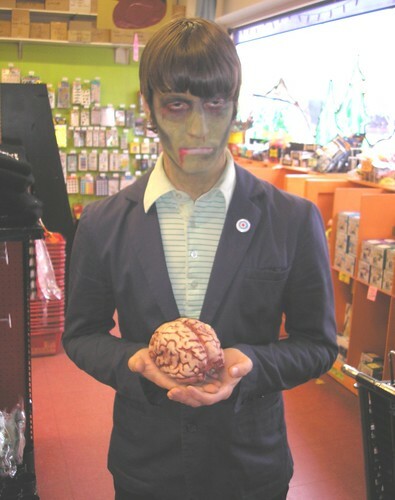 Well if you were a zombie, you’d count the brains you’d eaten. But since you aren’t, you should get that infection looked at, certifications and exams are a good way to benchmark where you are in the learning curve. Alas, though, taking those certifications and exams cost time and money. Well, right now there is a way to remove the cost factor. Gerry O’Brien announced last week on the Microsoft Certification blog that the Visual Studio 2010 Beta exams have been opened up. From April 4 through April 30 you can register to take any or all of the exams for Visual Studio 2010. This is a great thing about going out and taking the exams now is that they are free. I’d encourage everyone that can find the time to pop in and take an exam or six. With the low cost remember I said free these are worth the attempt. You may not pass, but you will get a chance to see the exam. If you’ve never taken a Microsoft exam before, it’s a good way to see how they are and drop some of the fear of the unknown. And who knows, maybe you’ll pass out of the gate. You’ll never know unless you try and taking the beta exams is a great opportunity to comment and influence how the exam will look when it goes live. Thought I should mention that the beta exams are as valid as the final exams. So this is counts towards TS and Pro certifications. Think of it, a little time and the opportunity to get a free certification.